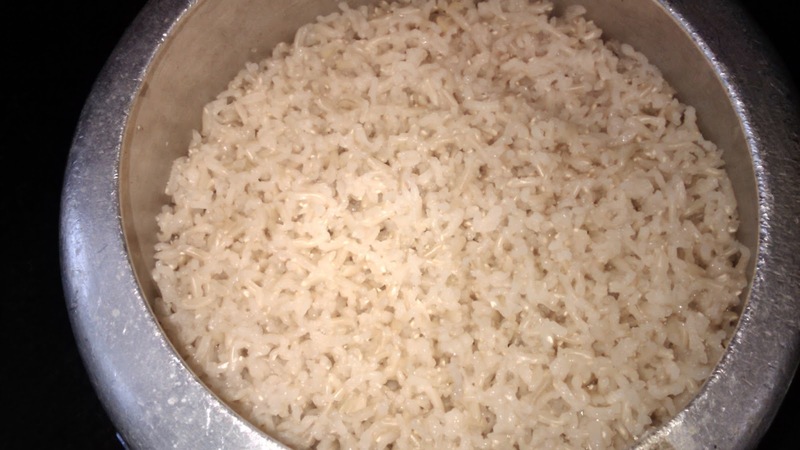 This is a recipe of long grain brown rice or brown basmati rice. Here I have used Indian style pressure cooker used commonly in Indian households. This is a simple and easy to follow recipe which gets the result you want. Brown rice is much healthier than white rice. It's as good as eating roti. So, if you are fond of eating rice and can't have your plateful for health or diet whatever reason, try this recipe of brown rice for guilt free indulgence. 1. Wash rice thoroughly under running water. 2. Soak in water for 1 hour. Drain. 3. Put brown rice and 2 & 1/4 cups of water in a pressure cooker. Let 1 whistle come. Then turn the heat to lowest point. 4. Cook for 15 minutes no matter how many whistles or no whistle comes in cooker. 5. After pressure drops down naturally, open the lid of cooker and your brown rice is ready.